This week we had a wonderful visit from Maria Miller, MP for Basingstoke. Mrs Miller was visiting Hatch Warren and Kempshott Under Fives to congratulate our Mangers on their fantastic achievement at being awarded Millie's Mark. 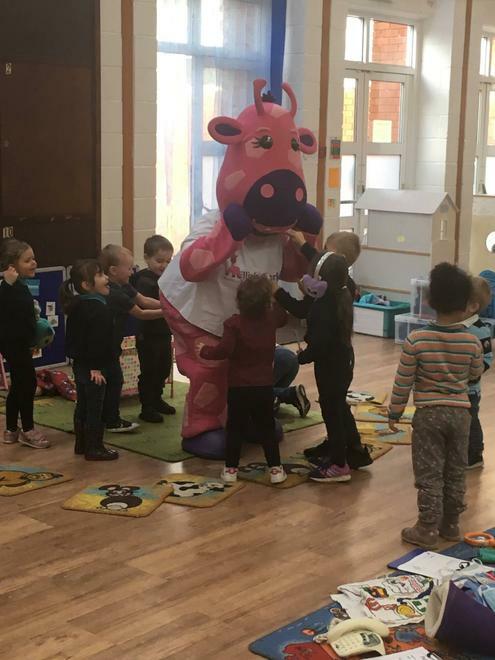 We also had the big pink Millie's Mark giraffe mascot visiting preschool, much to the delight of the children! Mrs Miller enjoyed meeting staff and children, and she joined in with our play dough gym session too. Pam, Manager at Hatch Warren, and Melissa, Manager at Kempshott, explained to Mrs Miller that achieving Millie's Mark means that our preschools are confident and prepared to deal with medical emergencies, 100% of staff are first aid trained and managers provide ongoing training in their settings throughout the year to ensure training is kept fresh and current. This is hugely reassuring for parents and for staff. 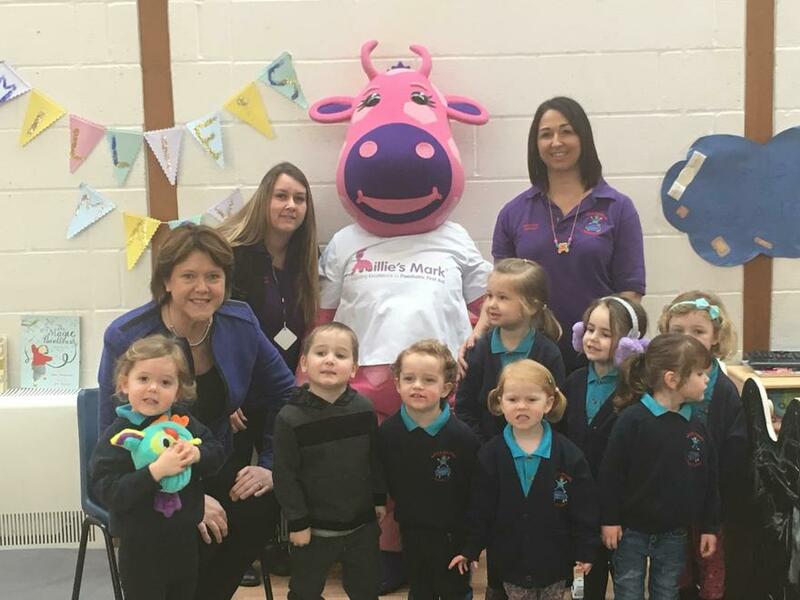 Ours are the only preschools in Basingstoke to have achieved Millie's Mark, and Pam and Melissa hope to inspire other local settings to work towards this too. Mrs Miller was really impressed with our award, and thanked the Mangers for their hard work and for the wonderful opportunities we are providing for our children.